This has been an incredible year for Science Exchange. Our team has grown and our site is continually improving based on feedback we receive every day from researchers and lab admins alike. Our newest feature was one of the most commonly requested from the lab admins on our site. It began as a discussion with the Lab Advisory Board – the LAB for short. 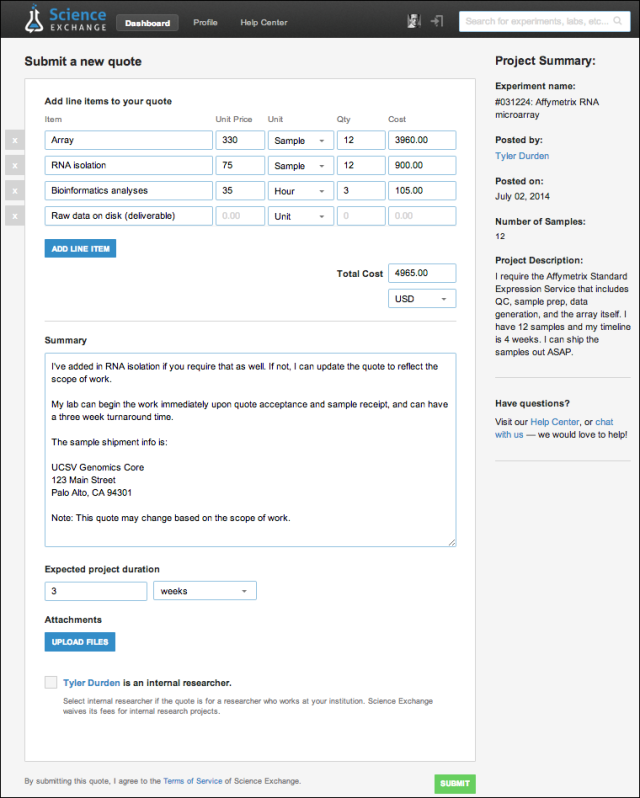 Previously, lab admins were able to submit text in a large description box, upload any pertinent files (like their institution quotes that included line items), and a price for the project. So in order to make the quoting process more flexible and intuitive, we’ve built line items into our existing quote system. Labs are now able to generate their own line items within Science Exchange! You can have one line item or you can have twenty. 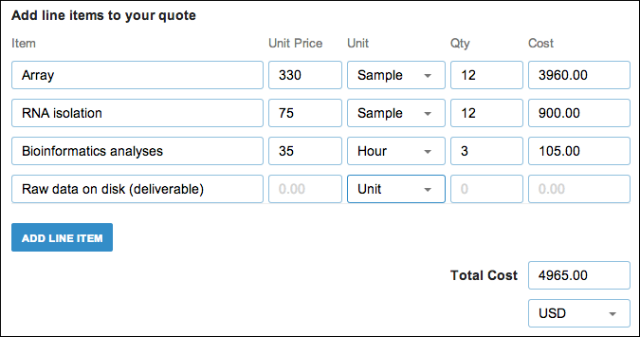 Once you select your Unit Price, the Unit type, and the Quantity, the line item Cost will auto-calculate, as well as the Total Cost. You can even include deliverables as line items and put zero for unit price and a quantity of one (1). Then the researcher will know exactly what to expect at project completion. Since not everything can be accounted for in a line item, there is still a summary text box available to include more information like notes, turnaround time, and sample shipment information to expedite the process once the quote is accepted. You can also upload supplementary information like images or sample reports so the researcher knows what their final product might look like. The flow of the way you work will vary slightly. Previously, lab admins would prepare quotes and then come to Science Exchange to upload them and add a price. 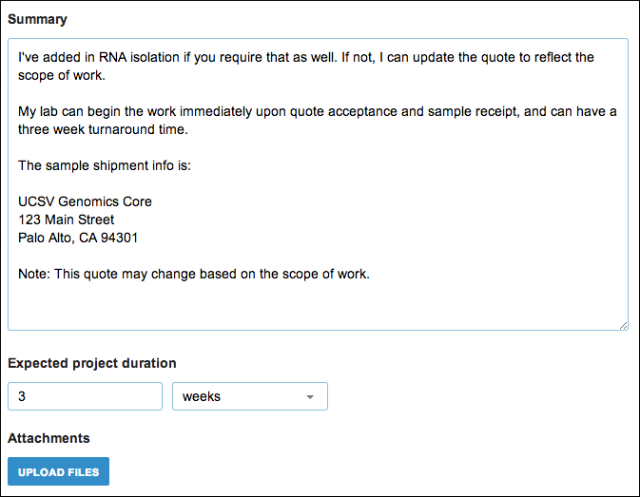 The new flow means that lab admins can do the calculations right on the quote form. It allows you to include more information than ever before and clarifies the scope of work for the researcher. This might change the way you use Science Exchange, but definitely for the better!